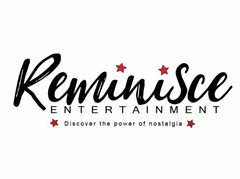 At Reminisce Entertainment, we are passionate about helping our clients to relive memories and experiences by providing a variety of artists tailored to their needs. With artistes typically embodying eras from the 1920’s to the 1970’s, we will provide the perfect performance at a affordable price, ensuring clients are left with smiles on their faces and nostalgia in their hearts. Our artists need to be considerate, sympathetic, and enthusiastic to deliver a great performance every time. discover the power of nostalgia. We are also looking for other activities such as Arts & Crafts, Animals, Magicians, anything that would appeal to the over 50's. We are auditioning for Artistes that can offer entertainment of all kinds to entertainment for regular work.